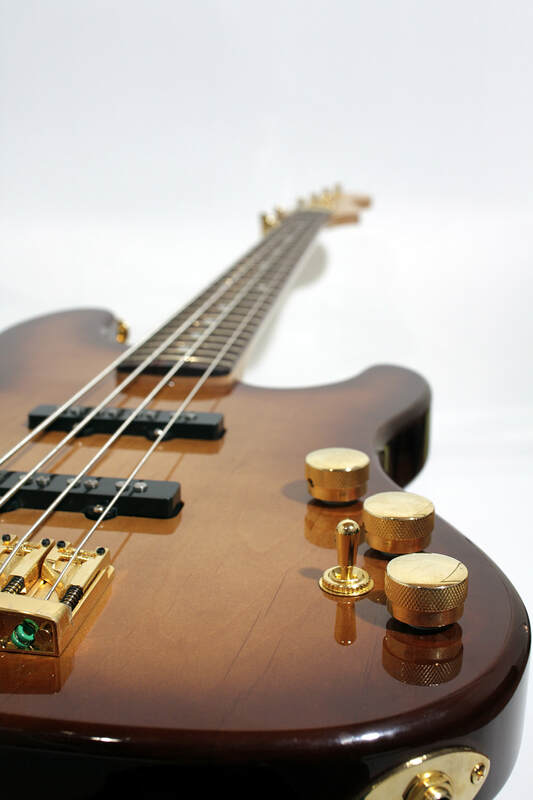 This stripped-down jazz bass features hand wound pickups and golden hardware. 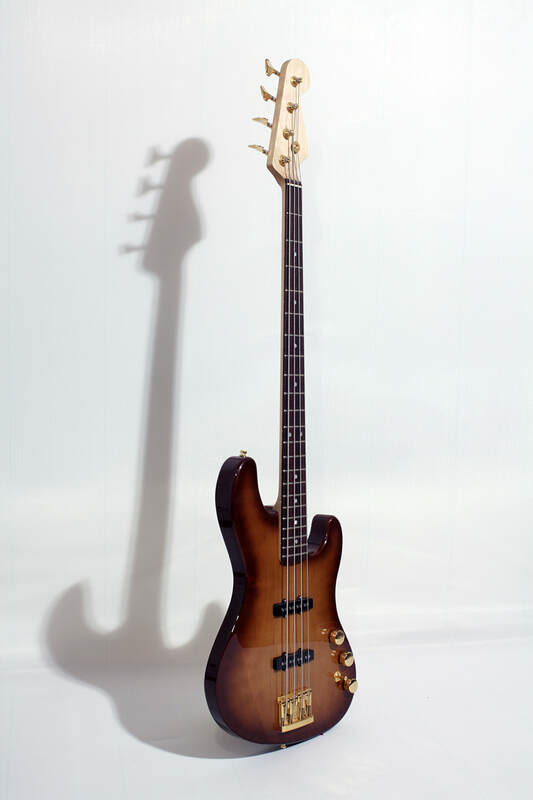 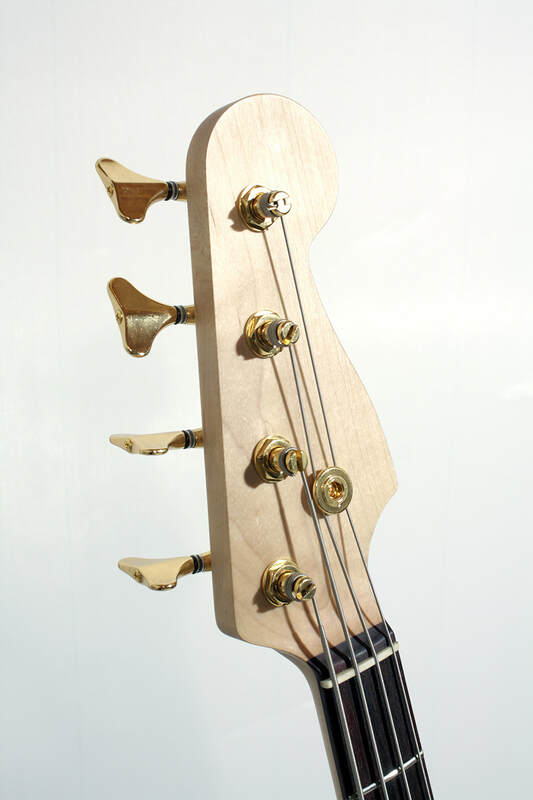 The bass is made of american alder, maple and indian rosewood. 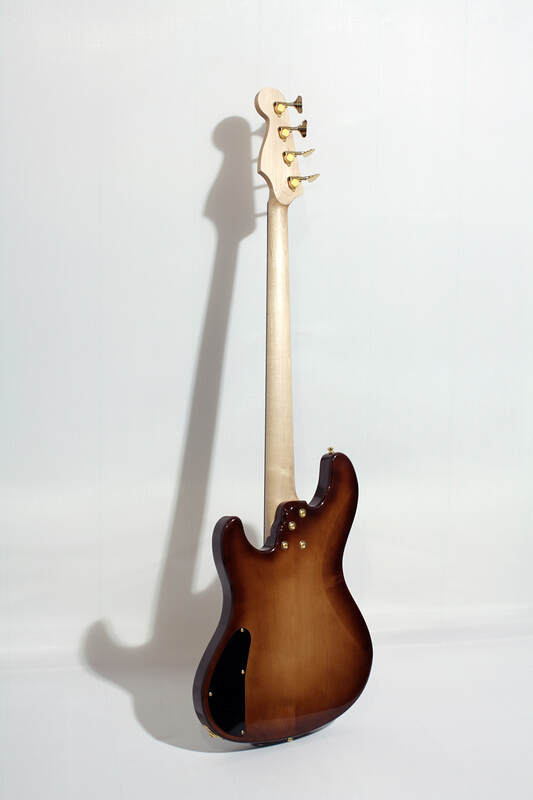 The neck has a satin polyurethane finish while the body is glossy.